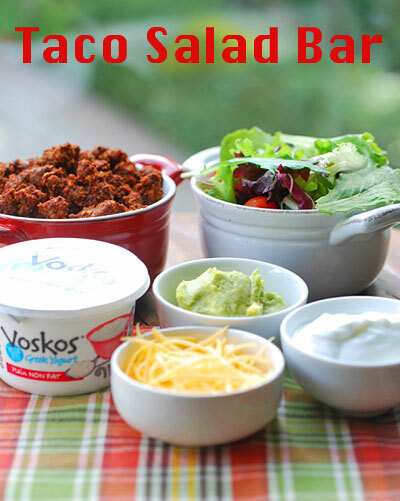 If you’re hosting a Super Bowl party this weekend, may we suggest an easy, crowd-pleasing spread: a taco salad bar. Just set all the fillings and toppings out, and allow the guests to build their own meals. It’s delicious, it’s healthy (especially if you skip the tortillas and opt for salad greens) – and it’s relatively inexpensive. 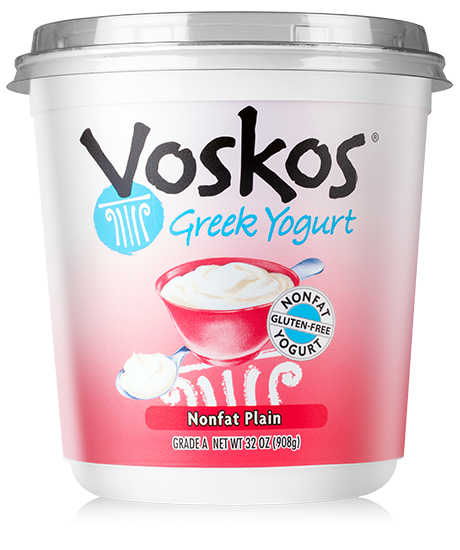 Using VOSKOS Greek yogurt makes this spread extra nutritious: it’s an excellent substitute for sour cream, and we’ve also used it in the salad dressing and in the guacamole to add extra creaminess and protein. In a small bowl, mix the taco seasoning ingredients. Set aside. Heat a large skillet over medium-high heat. Add the olive oil and swirl to coat. Add the onion and the beef. Cook, stirring to break up the meat, until onion is soft and beef is browned, about 5 minutes. Add the seasoning mix, the tomato paste and the garlic. Cook, stirring, until the beef is well-coated, about 2 minutes. Turn heat off. 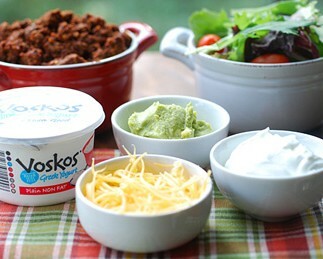 Serve the taco meat in a Crockpot or in a warmed serving dish, surrounded by the salad, sides and toppings.